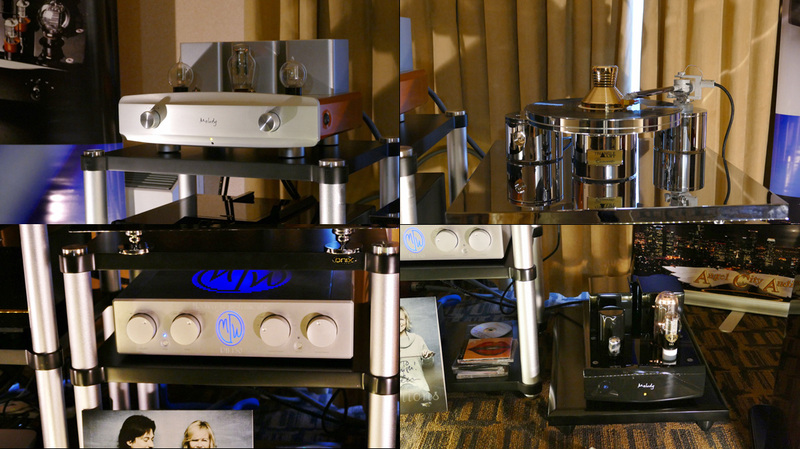 In the ACA/Melody room, the $22'000 ACA Seraphim Prime were making some seductive sounds matched to Australian Melody Valve equipment and the Triangle Art Signature table at $30'000. There was also a health dose of Modwright and Onix hardware and Kimber cabling to round out the offering. This was a room that also showed some visual flair to lend appeal to more than the musical senses (and keep photography more interesting). The Acapella room was a happy situation this year. Last year you could hear the potential but the room was problematic. This time Mr. Winter's Acapella Atlas with the fabulous ion tweeter sang with passionate and convincing voice. 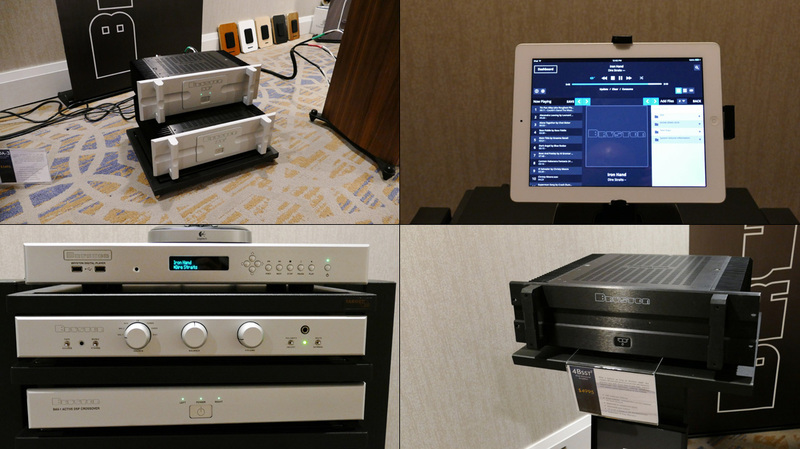 At about $99'000 and surrounded by a phalanx of quality hardware, it was clearly in the stuff-of-dreams category and its performance this round put it on everyone's short list for best of show. 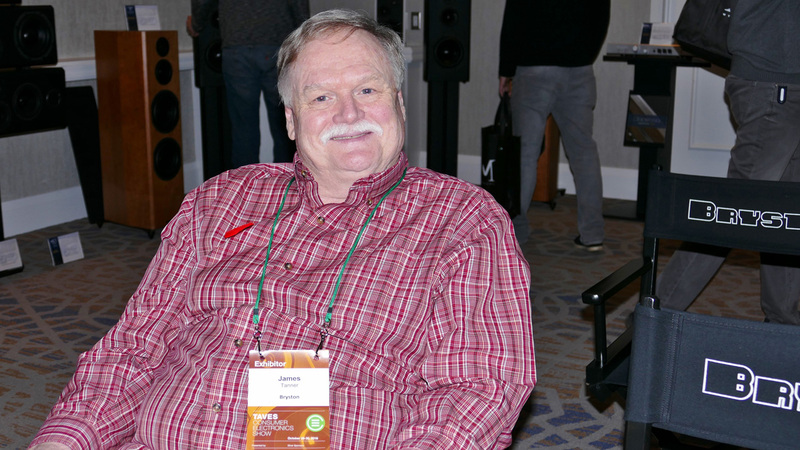 ANKits/Mundorf/Audio Sensibility packed a huge punch with their luscious tube combination into two finished versions of their diminutive MA30-SG speaker kits. 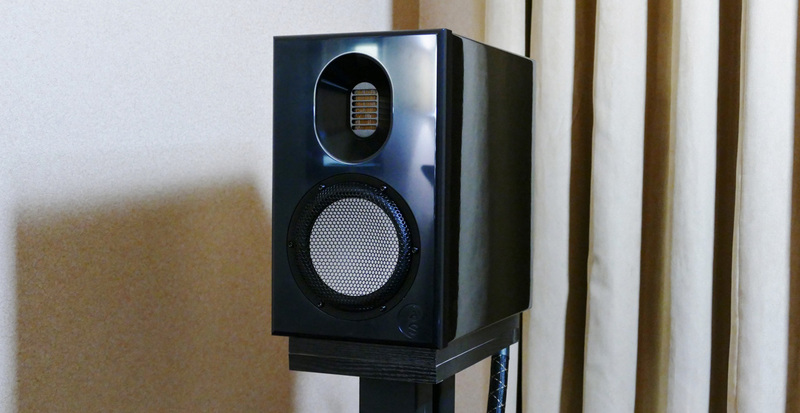 Priced at $5'829 and $4'150 Cdn, they showed all the advantages of a state-of-the-art stand mount loudspeaker minus the nosebleed price tag. Some assembly is required of course but your ears and wallet will be well rewarded. 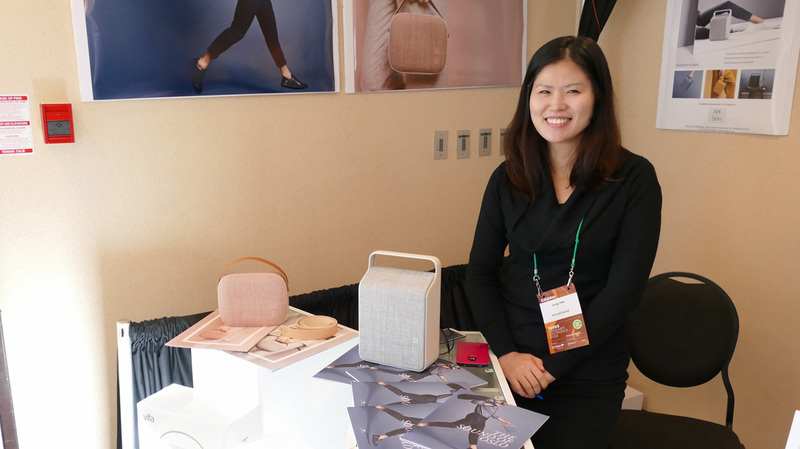 Ms. Hee of Art and Sound was showing some stylish product from Sound of Oslo aimed squarely at the female audiophile contingent. 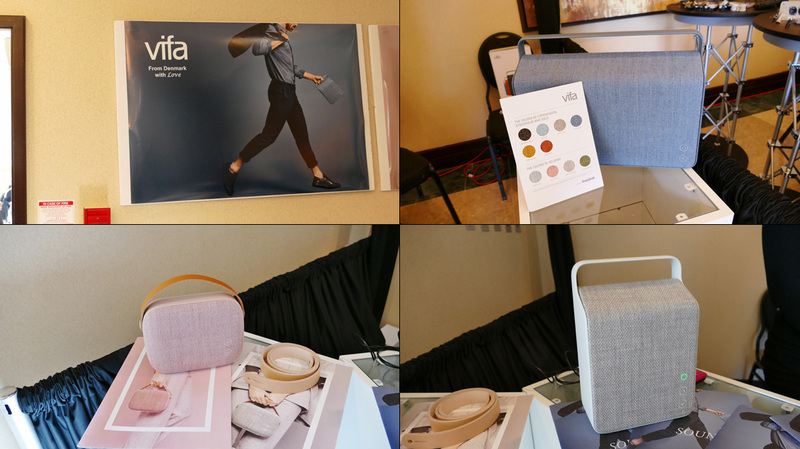 On display were 3 portable Bluetooth speakers cleverly disguised as attractive purses, complete with strap accessories. 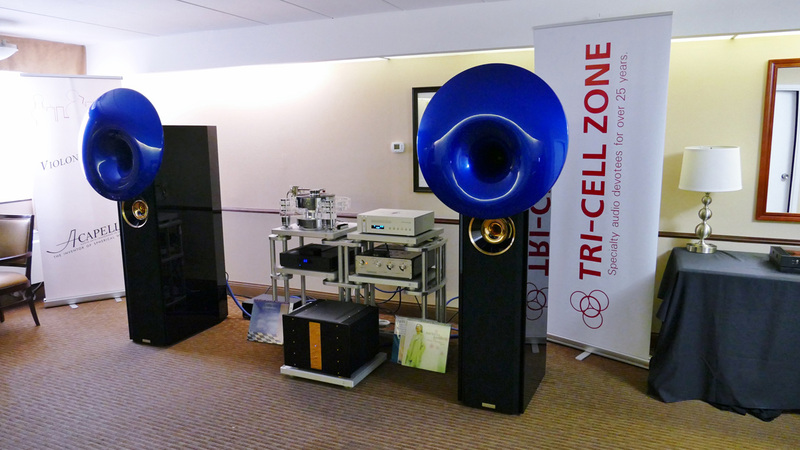 This was definitely a fresh approach to seeking a wider hifi demographic. 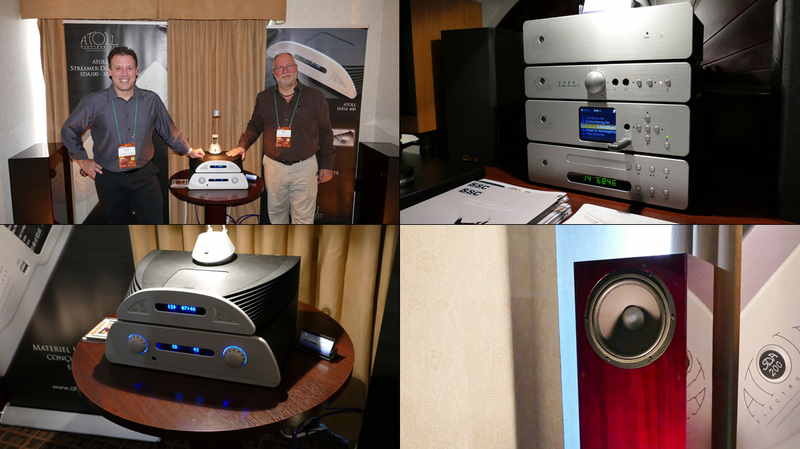 Atoll Electronique/Davis Acoustics/SCC were demonstrating a musically successful pairing of the superbly crafted and visually attractive 400 series Atoll into the $8'899 Cdn Davis Acoustics single-driver MV One. 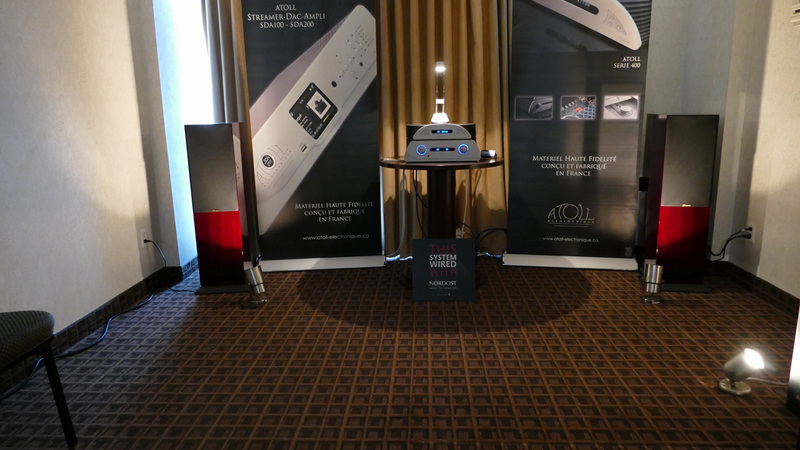 My prior Montreal experience with the Davis was hampered by too much competing music in the floor space. This time the room showed high musical pedigree with style and grace. 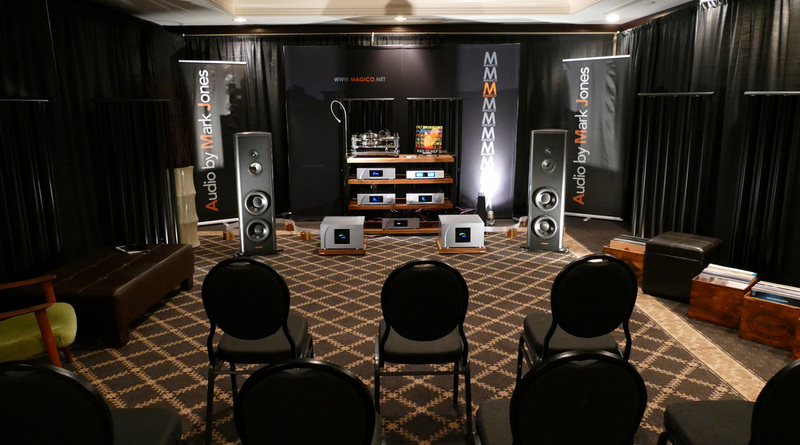 Audio by Mark Jones aim at the discriminating audiophile of means and are not for the faint of wallet. 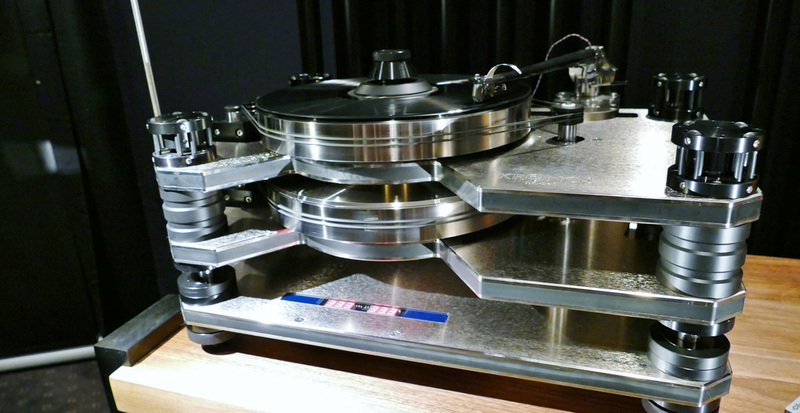 His dream assembly of beautiful Kronos Pro turntable, Black Beauty tonearm and Ortofon A9S (totaling $53'500 Cdn alone!) 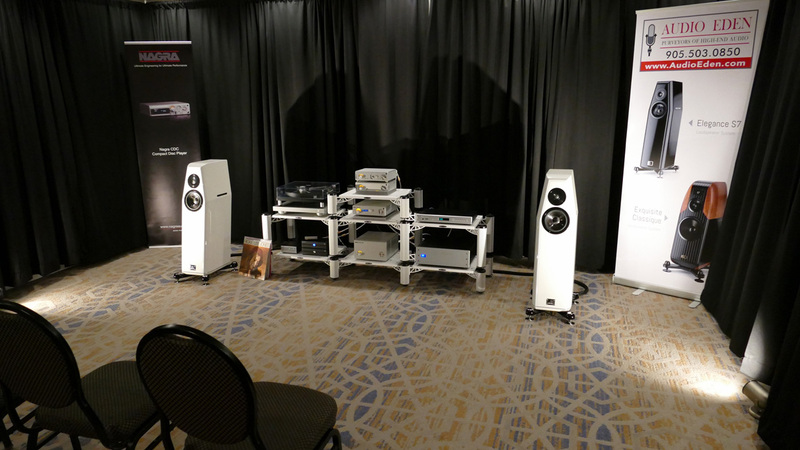 plus Magico S5 Mk2 speakers married with delectable CH electronics, Aurender media player, Shunyata power conditioner, Nordost cables, Massif rack and Sonic Solutions room treatment to catapult the system into the cost of a modest home (outside the Toronto area of course). 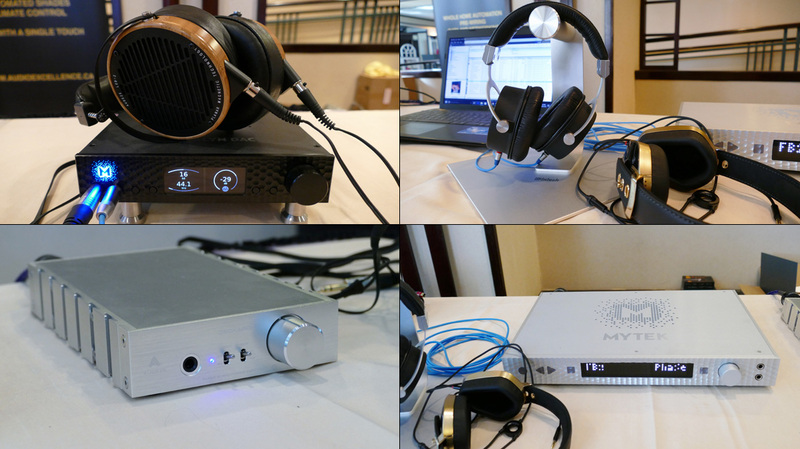 If the price was daunting, so was the quality of sound. 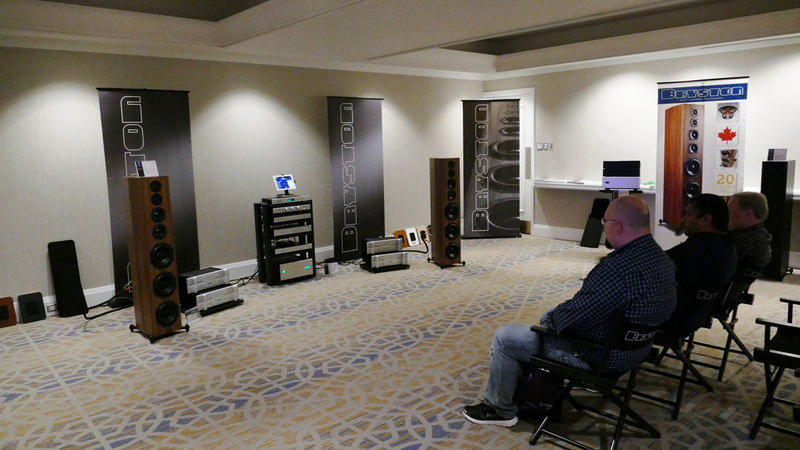 I saw a mother and child in the listening room while hubby was taking a closer look at the audio goodies and contemplating if all of the earmarked college fund would be necessary. Mr. Jones made for persuasive musical seduction. 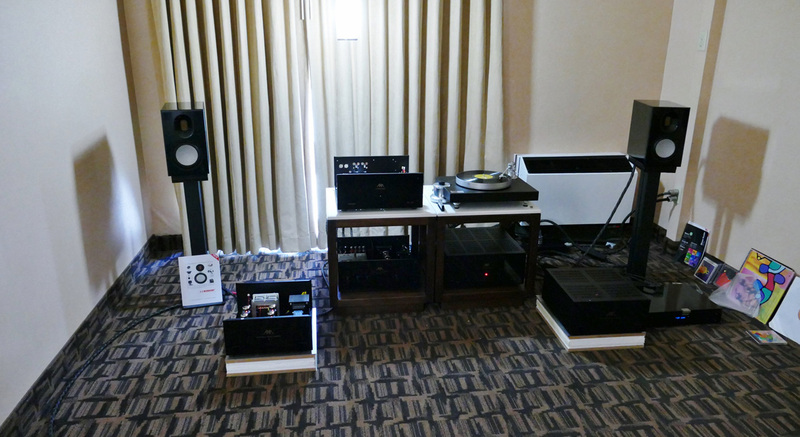 Mike Hamelin from Audio Eden had carefully assessed his room and matched for maximum music capability. 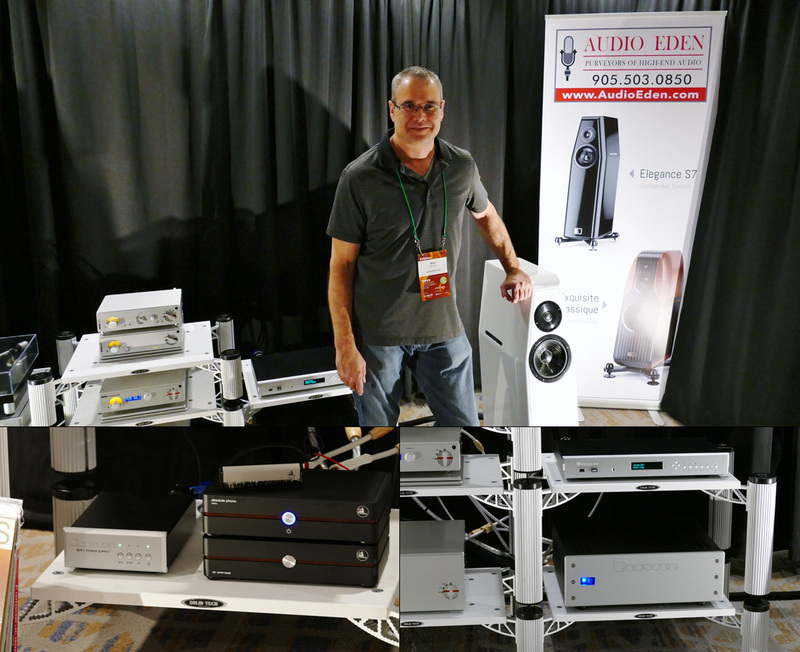 His $21'750 Cdn Kharma Elegance S7s mated to Nagra pre and power amplification, Bryston/Dynavector analog source and Bryston/Nagra digital front end were absolutely stunning. Mr. Hamelin is a master setup man and he did himself proud here. Unforced and powerful music danced in this room with abandon. 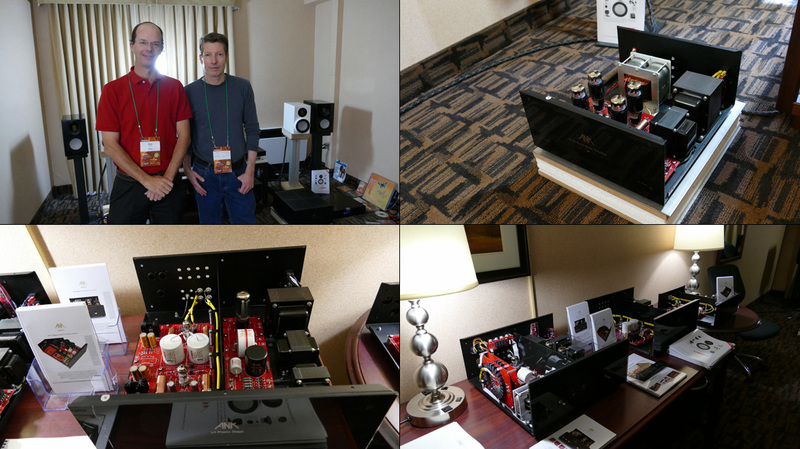 Audio Excellence took a break from the rooms this year despite their powerhouse depth of big ticket items. They concentrated on headphone hardware and their cables along the main gauntlet. 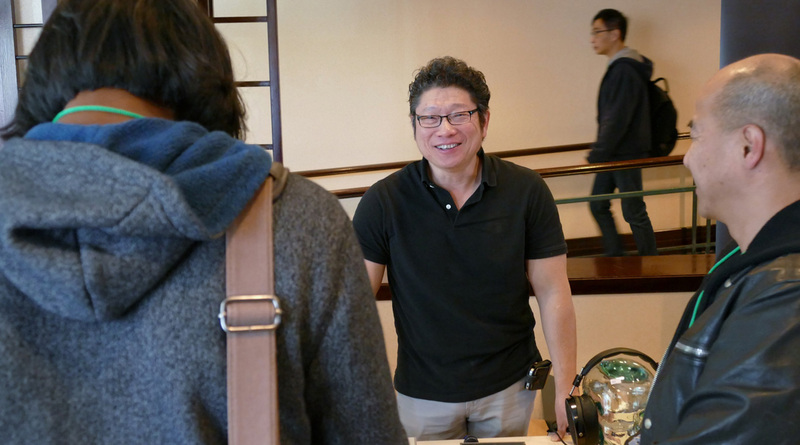 Owner Adrian Low's infectious smile and depth of knowledge were a welcome diversion from the big rooms. 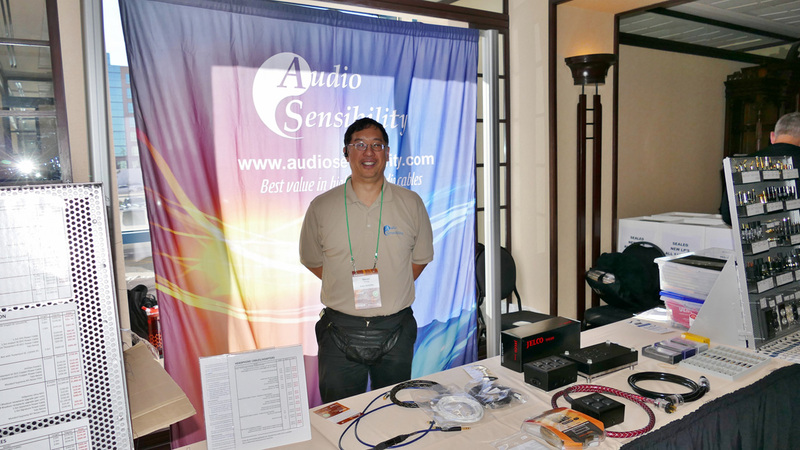 Audio Sensibility had their booth up and running in the main corridor and owner Stephen Huang was in constant demand during the show. 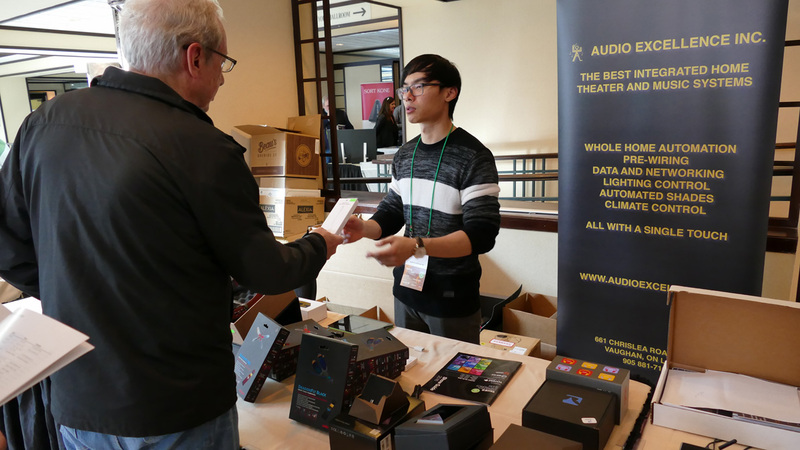 His quality affordable offerings have always broken the stereotype of high performance = high price tag, and his vast knowledge has made him a go-to person for consumer and pro alike. 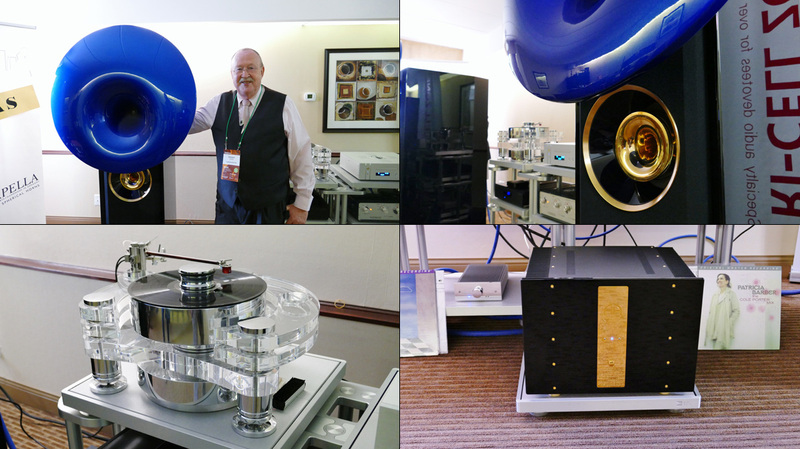 Bryston once again had a large suite kicking out the jams with their big Model T flagships. Mr. Tanner was available for questions but was also content to sit back and watch the audience enjoy the sheer intensity and control of his top design. 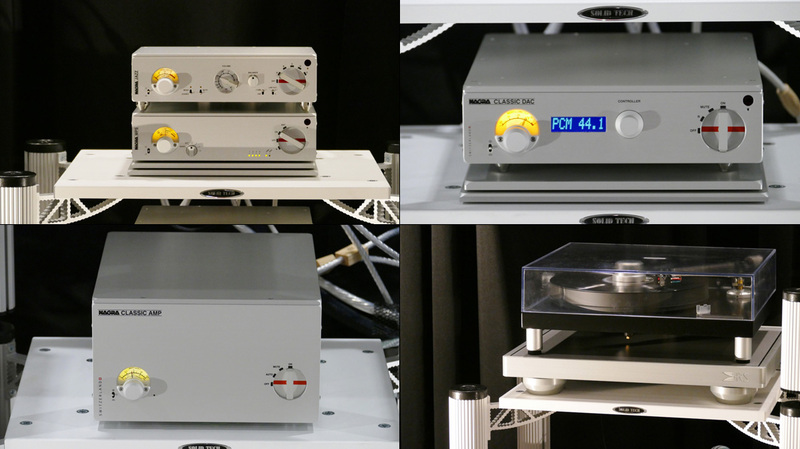 At about $8'000/pair Cdn, it reflects the high value and realistic pricing model that Bryston have consistently adopted. 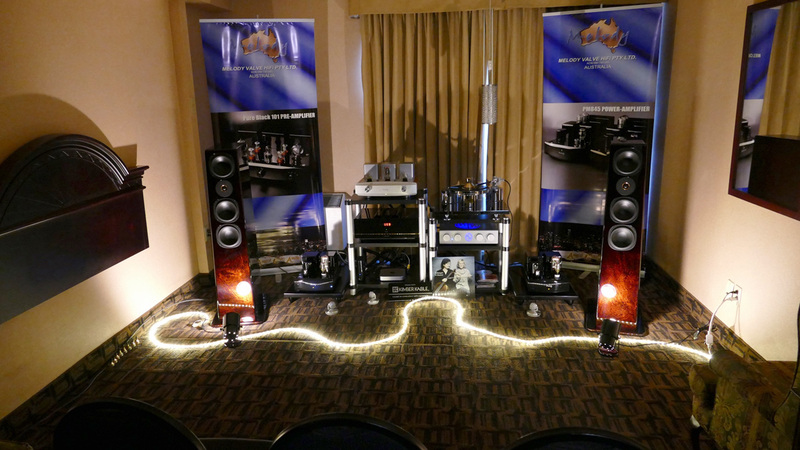 There's no boutique mystique here, only solid upper HighEnd performance. The whole gamut of tempting company catalog was on display and well worth looking into.